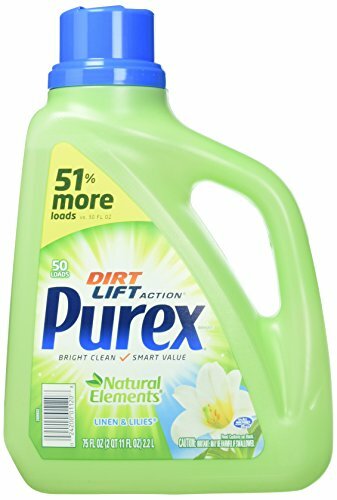 HUGE Price drop on Purex Liquid Natural Elements Laundry Detergent. Get yours with the link below now! Purex Natural Elements Linen & Lillies contains a light scent with the freshness of clean linen and sun-soaked lilies on a warm summer day. This package contains one 75 ounce bottle for a total of 50 loads.